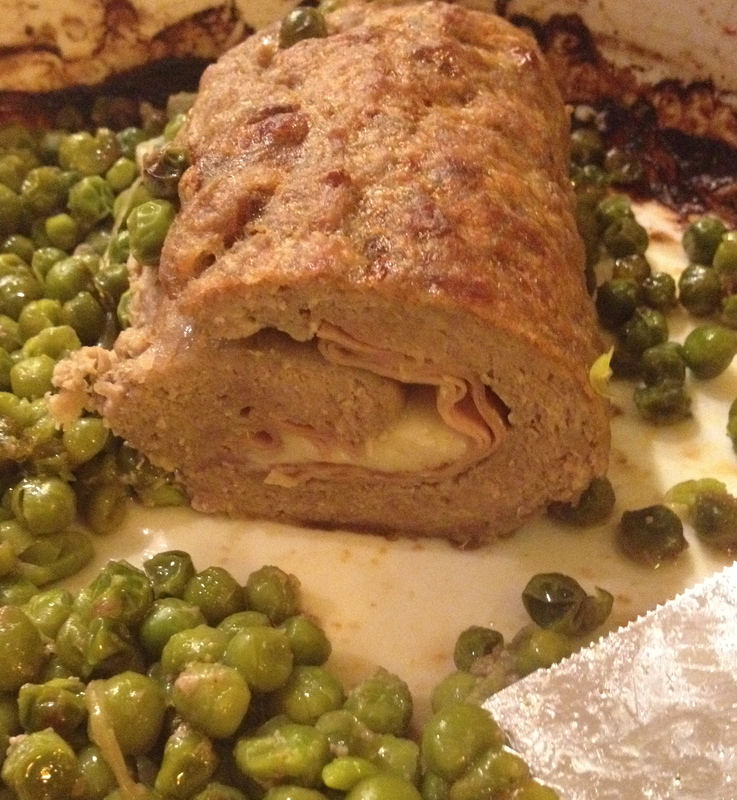 Today I share one of my family’s favorite recipes, Polpettone ripieno con contorno di piselli (stuffed meatloaf with side of green peas). Not much to chat about it, so I will get right to the recipe. This is my mom’s recipe, to which I have made only few modifications. It is easy, flavorful, and satisfying. It is also versatile, you can choose you favorite cheese and cold cuts for the stuffing, and even add some spinach if you want. 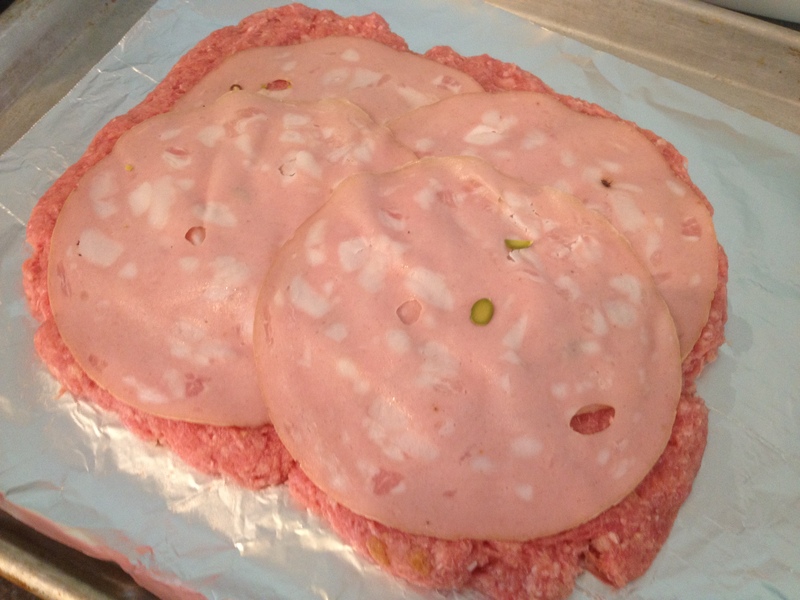 I like to use provolone cheese and mortadella – prosciutto cotto (ham) is typically used. Even the choice of meat is up to you, use beef or veal or combine the two, add pork if you want. 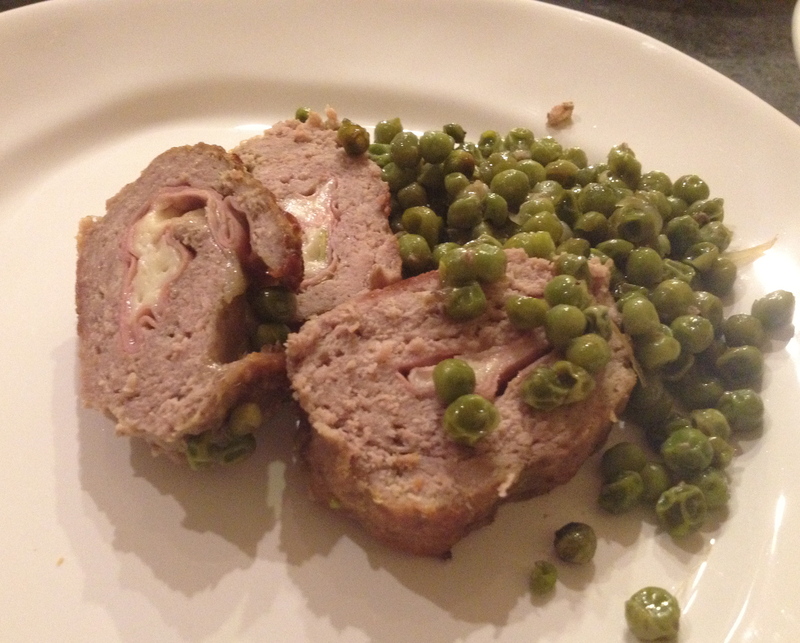 I just prepared this meatloaf few nights ago and I used a mix of beef/pork/lamb, it was delicious. 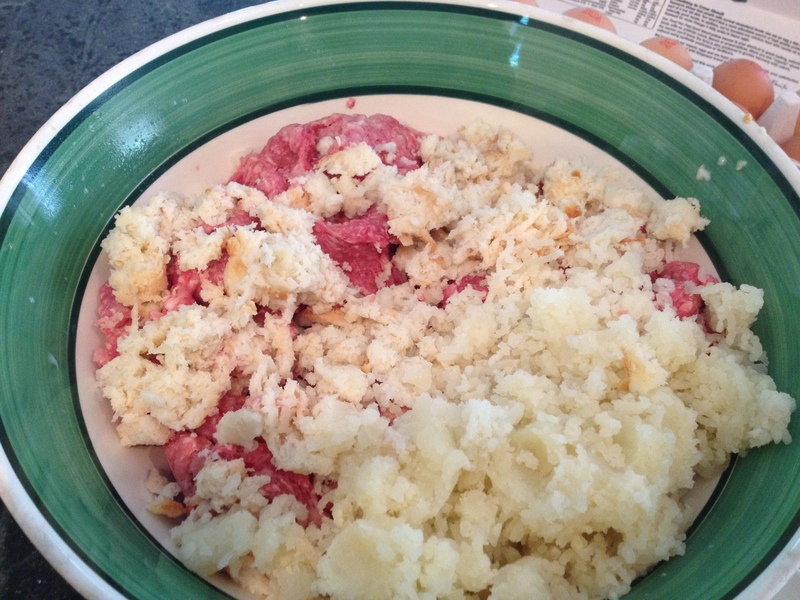 I also added one smashed boiled potato to the meat, it helped to keep the meatloaf moist. The recipe will yield one large polpettone or two medium one. I got slightly carried away, so I ended up with two medium and one small, and I also made few extra polpettine (small meatballs), which I fried; we ate them during the Capitals ice hockey’s game . . . Go Caps!!! NOTE: To prepare a perfect polpettone you need to get your hands dirty – literally. DO NOT use a food processor. To defrost the peas: Pour the frozen peas into a colander. Set the colander under cold running water for 2 minutes. Shake the colander often then let drain. In a medium bowl, mix the bread and milk. With your fingers break the bread and make sure it is covered with milk. Let soak for 5 minutes, squeeze out excess milk from the bread. Discard milk. 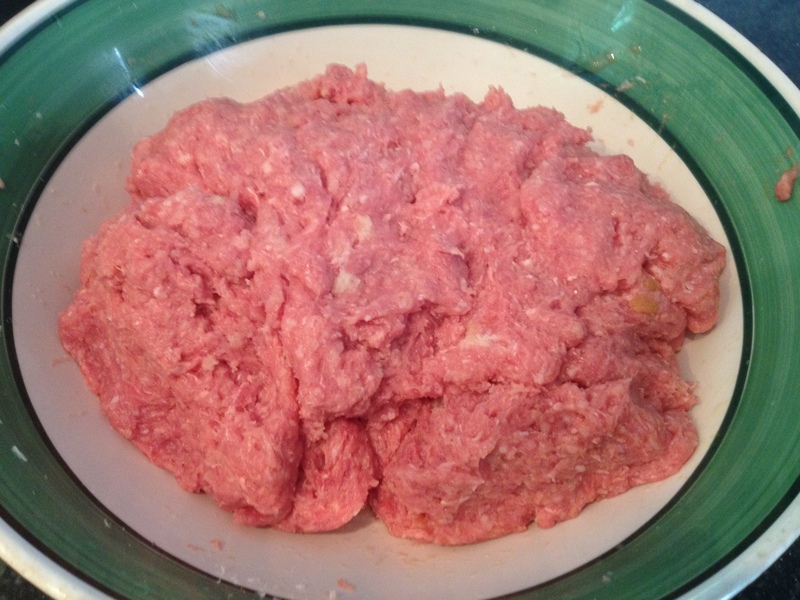 In a large bowl mix the meat and the bread. 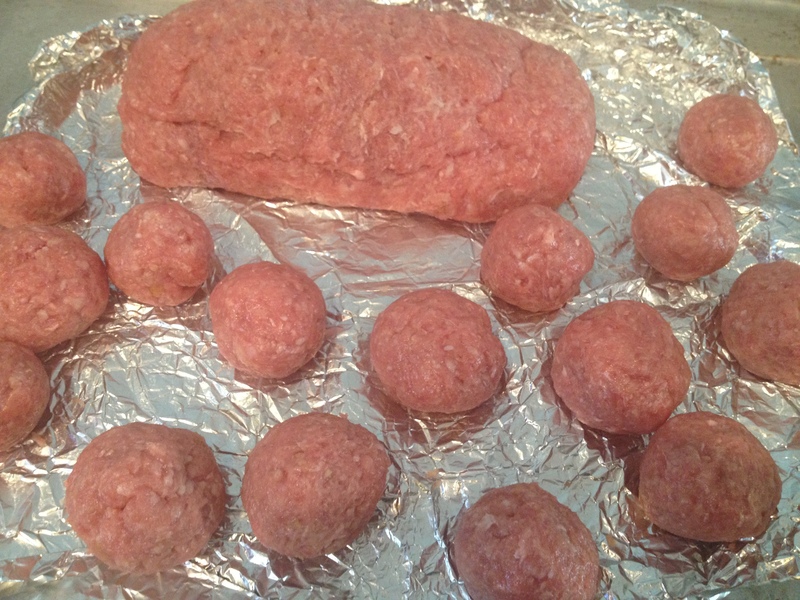 Using your hands mix until the meat and bread are well combined. Pass the boiled potato through a ricer and add to the mixture. 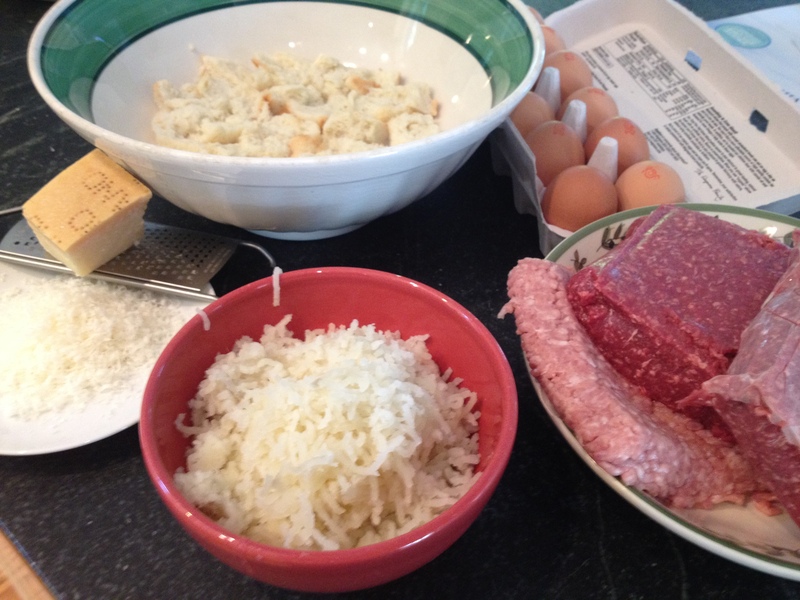 Add the eggs, grated Parmigiano, and salt. Again, use your hands to mix and combine the ingredients. You can add chopped parsley to the mixture if you wish. Line a baking sheet with aluminum foil, slightly moisten the foil with water (to prevent the meat from sticking to the foil). 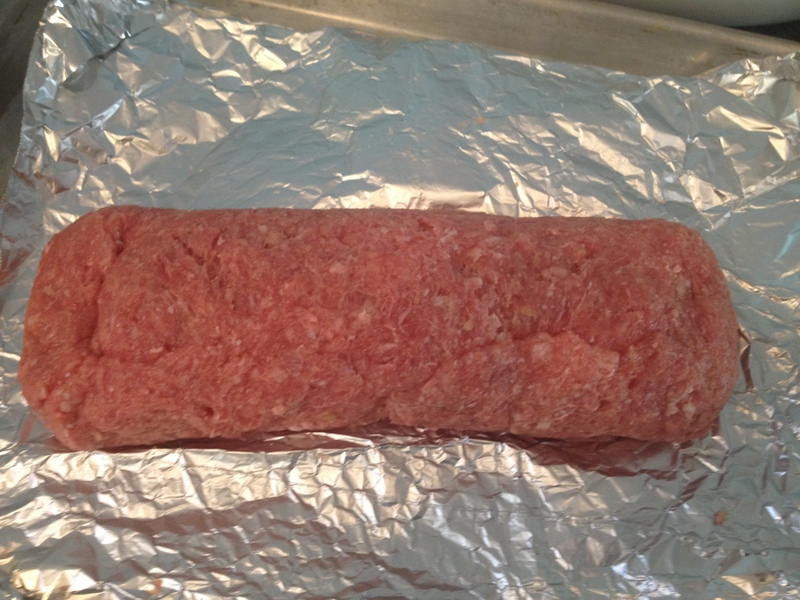 Take half of the meat mixture, place it in the center of the foil and pat down to form a rectangle ½ inch thick. Preheat oven at 360 degree and oil the bottom of a deep baking dish. 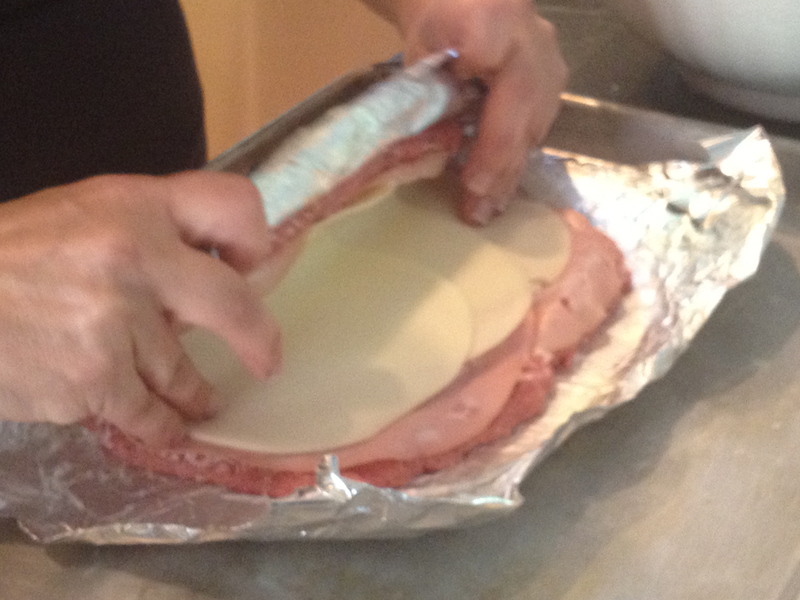 Sprinkle the meat with Parmigiano, then arrange the slices of mortadella on the meat to cover the whole surface. 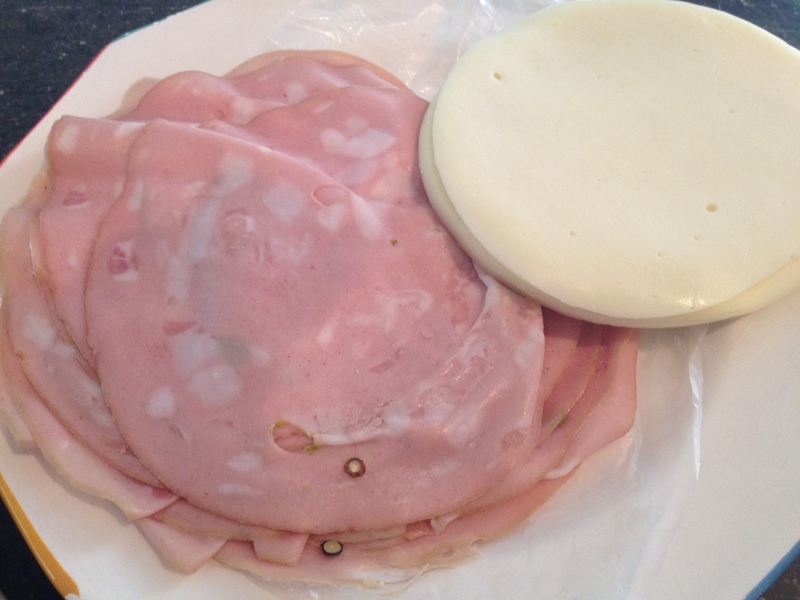 Arrange the slices of provolone on top of the mortadella. 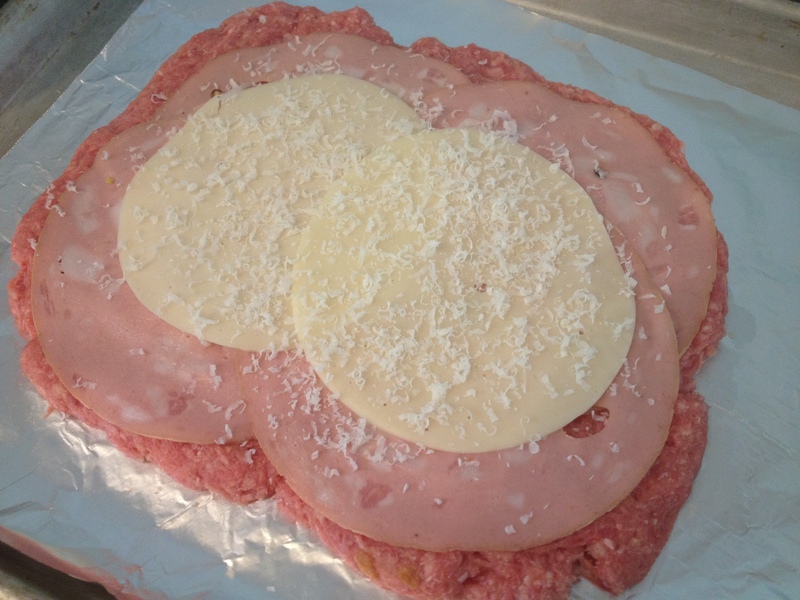 Keep the provolone at least 1 inch off the edges (this will make it easier to roll up the meatloaf and also will prevent the cheese to drip away while baking). 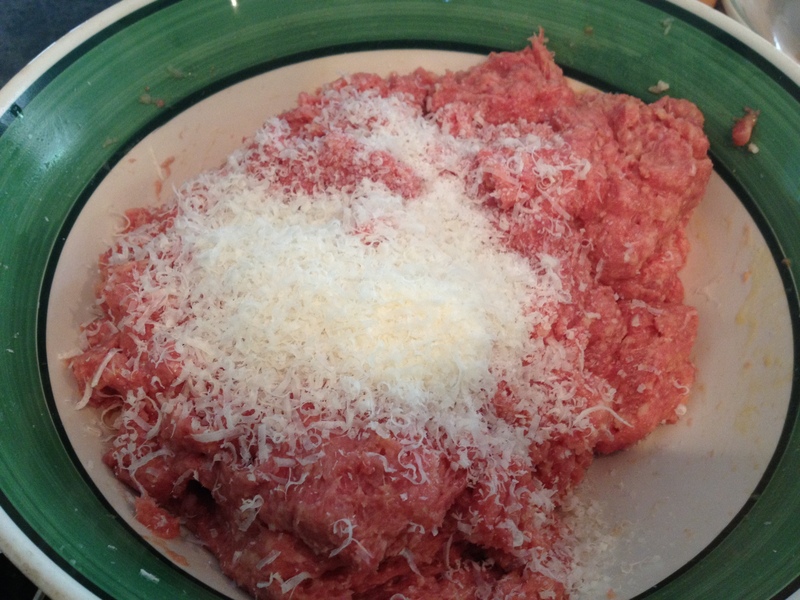 Sprinkle more Parmigiano if you wish. 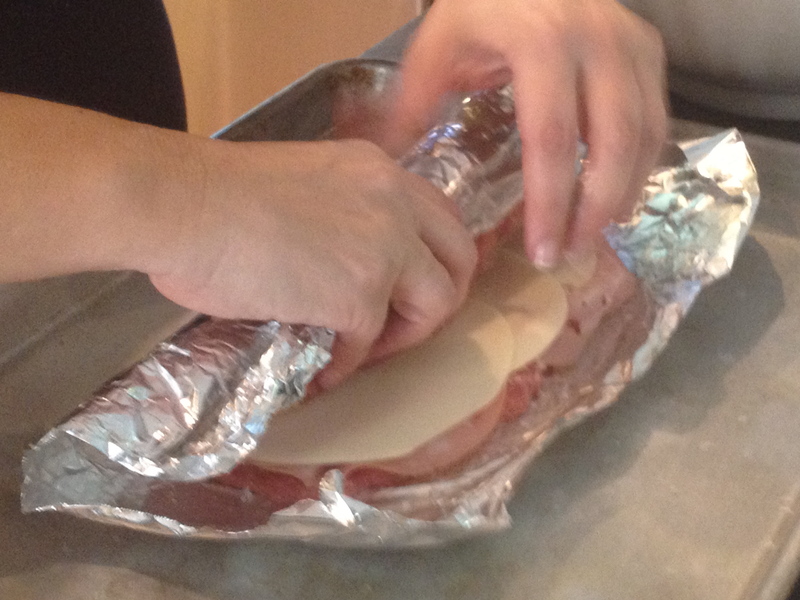 Starting at long side and using the foil as aid, roll up the meat. Fold ends and seams together. Make sure the long side is completely sealed. Oops . . . A little extra! Place the meatloaf in the previously oiled baking dish. 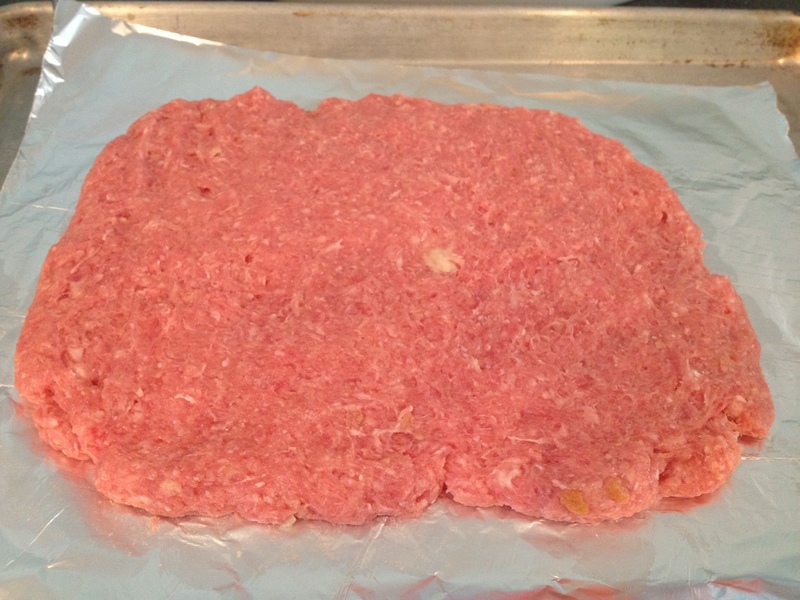 Repeat with the remaining meat mixture. 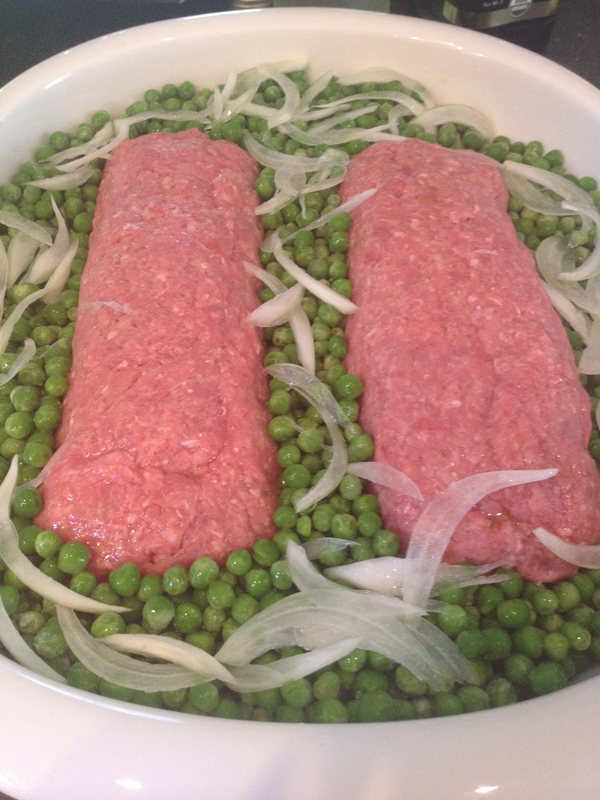 Place the second meatloaf in the baking dish. Space them at least 2 inches from each other. 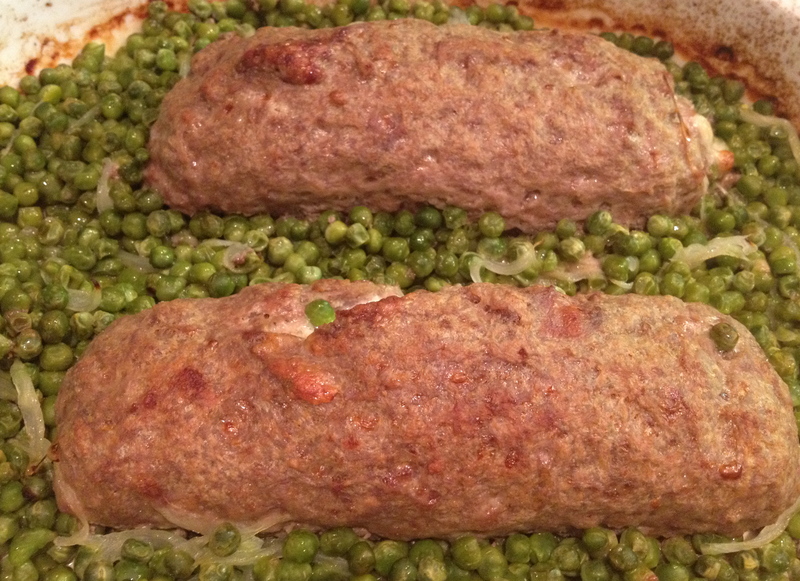 Arrange the green peas between the meatloaf and all around. Drizzle with oil, add the sliced onion, salt, pepper and the wine. Cover with foil and bake for 40 minutes. Remove the foil, stir the peas and continue baking for 20 minutes. Let rest 15 minutes. Slice and plate along with the peas. I hope you like my Polpettone as much as my boys do. OMG That is all I can say here Looks so amazing!! It looks good and tastes great…you should try it. The recipe looks so very wonderful…………I am going to make this very soon!